I’ve been hearing the word “Purpose” a lot lately. It’s being used to address a person or organization’s mission and how that mission is above and beyond the function being performed. 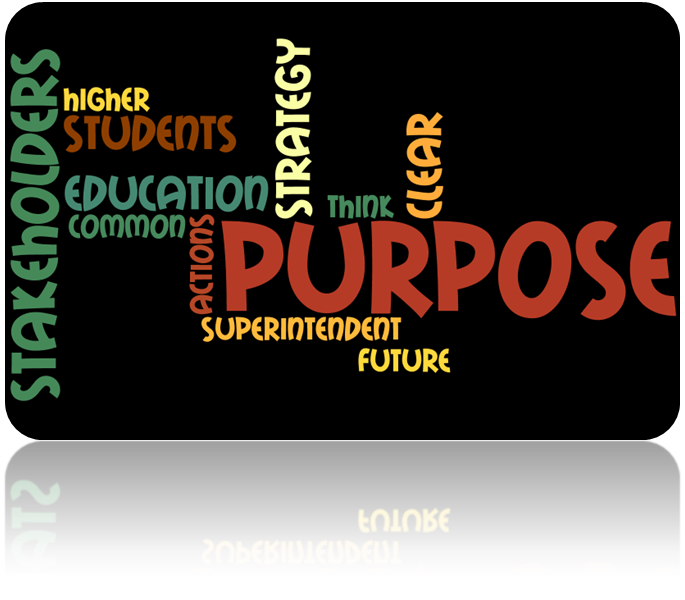 “Purpose” in the world of education has a very clear meaning to Superintendent Michael B. Matsuda of the Anaheim Union High School District. In a recent Orange County Breeze article, the Superintendent welcomed the students and families into the new school year, but he did it in a different way – strategically, yet personally. He then gets into tactics, talking about feeder districts and higher education stakeholders. He talks personally about needed actions for staff and parents, and he discusses fiscal matters. He ends by closing the loop on whom the Purpose is for – the students. The key lesson learned from Anaheim for K-12 schools and other school districts is this: Before launching the next great initiative, before getting too strategic, and DEFINITELY before getting too tactical, do two things. First, be clear on the Purpose and how that Purpose is about the experience of the student and preparing the student for the future. Second, be intentional about identifying all the stakeholders in the process and educating them on how living that Purpose relies on them and – ultimately – impacts them. Be clear on the Purpose to best align all actions and stakeholders toward a common future. Next Ticket Sales Down Due to Accounts Reducing Seats?